This dish is similar to the Mediterranean Braciole dinner in that it’s a combination of separate dishes combined into one main course. It’s very straight-forward and easy to assemble and well worth the time investment when you want to create a memorable and special meal. The three main components can be made ahead of time so that you can create a beautiful dinner without any stress. Cut the seitan and tofu into blocks that measure roughly one inch by three inches and set aside. Unroll the phyllo dough and cover with a slightly damp towel to keep pliant. Set a baking sheet on the counter in front of you, vertically. Take one sheet of phyllo and place upon the baking sheet. Using your fingers or a brush, lightly dot olive oil over the surface of the sheet. Place another sheet of phyllo atop the first and repeat. Using a pizza cutter or knife [If using a knife be careful not to tear the dough, applying pressure from above rather than drawing the knife across it], gently cut the phyllo down the center, vertically so that you create two pieces. 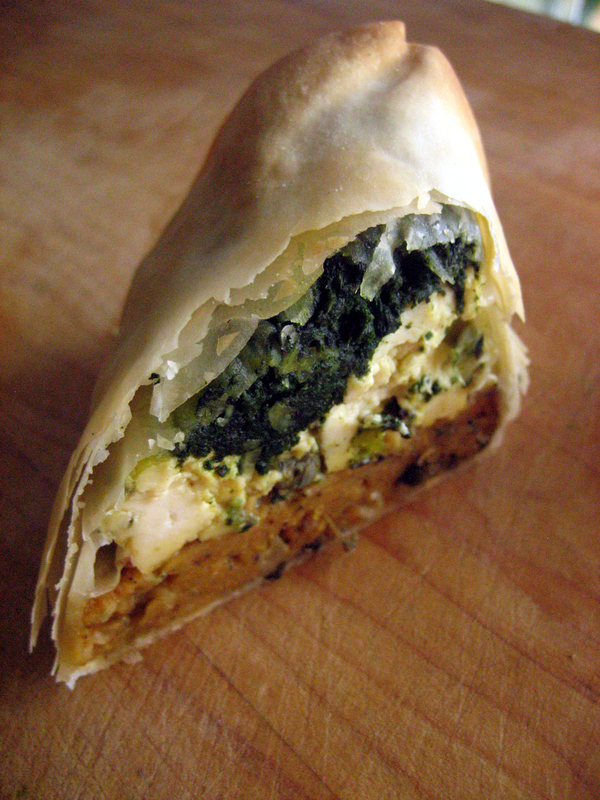 Place a piece of seitan on either half of the phyllo three inches from the bottom edge of the sheet. [You want to have enough room to be able to bring the phyllo up and over the filling.] 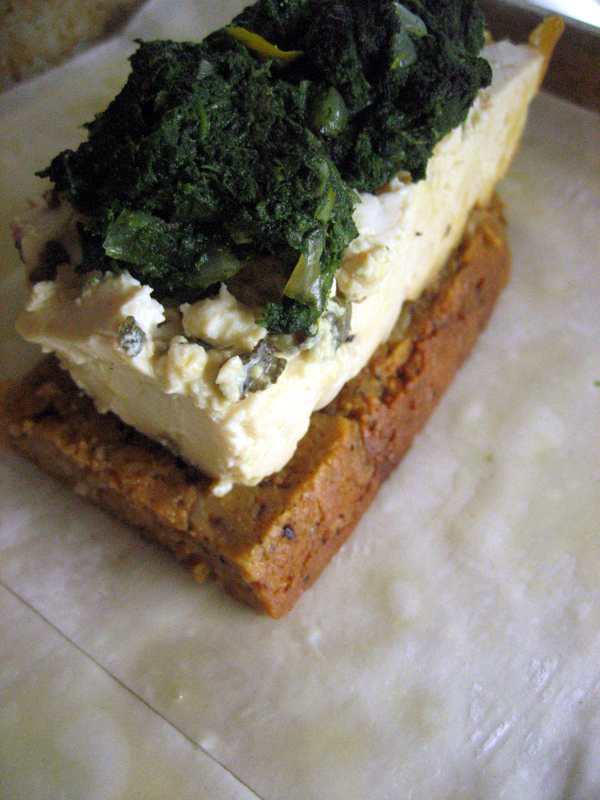 Place a piece of tofu atop the seitan and then add a final layer of cooked greens. 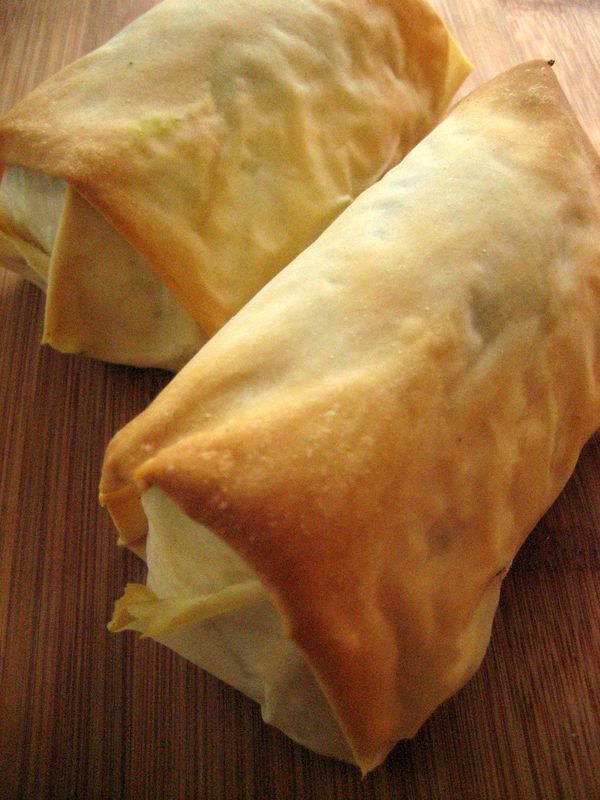 Roll the phyllo up and over the filling and roll over a couple of times. Tuck in the sides and continue to roll until all the phyllo has been used. Rub the outside with oil and set upon a separate baking sheet. Repeat until all the rolls have been created. That looks so good! Wow! Oh my! I really want to eat that, I am going to mark the recipe!